Raincity: To stay in or to go out? It looks like it’s going to be a rainy week in Vancouver! If you’re like me there are days when you love the rain and then there are days where you wish it was just cloudy. I like enjoying the weather because sometimes it can be “dark” for days and it can really take a toll on the mind and motivation. So I figured that I could write about things you could do when you’re stuck indoors or limited to the activities you can do. But first here is my Saturday Morning Playlist, of course there are more on my playlist but I thought 10 would be enough to share while you read the rest of my post! Songs like this really set the tone for what kind of Saturday I will have so I hope you enjoy! So what can you do on a rainy Saturday? Go out for coffee or tea. Instead of going to your regular Tim Hortons or Starbucks. I’d recommend several places that could brighten up a dull day with their pastries and tea. Depending on where you live, they could be convenient or quite far so here are three. Or you could definitely sit at a Starbucks and do you! La Petite Cuillere — Of course, to attend this beautiful tea room, you must make a reservation but it’s quite worth it. I had the pleasure of sharing this experience with one of my best friends and my sister this year for my birthday. It wasn’t a rainy day but cloudy which made it the perfect setting to sit by a large window, drink tea, eat pastries and pretend we were living in the days of Downton Abbey or Jane Austen. Located in Vancouver by a Library, can you say perfect? Applewood Country — This one is closer to my home in Delta, I could walk here if I wanted to. This tea room definitely has a “I’m going to my grandmothers house” type of vibe. It is also a gift shop and it has the cutest things ever, from tea, pastries, vintage hats, PJ’s to stove tops and kitchen utensils for sale. I would like to thank my mother for introducing me to this gem. Black Rook Bakery — Not a Cafe technically, but this Bakery has charm. On a rainy day, while my mother and I were waiting for my sister, we drove around and found this bakery that had the most delicious baked goods. I wish I had pictures still but their Pink Chiffon cake was the most delicious cake I’ve had in awhile, I paired it with Jasmine Green tea and I devoured that in minutes. It isn’t highly populated and you’ll find the decor to be quite interesting and attractive. I don’t know, I really liked the ravens on the fireplace mantel and their large dark coloured chandelier. 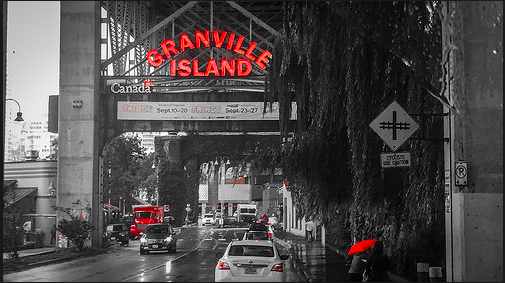 Go to Granville Island — LOVE LOVE Granville Island. I think it’s the perfect rainy day adventure. But that’s just me. There are so many cute things to see, delicious things to taste and goods to buy. Plus the view isn’t bad either. See a movie or have a movie marathon — It could definitely be a netflix binge watching kind of day. Finish your Vampire Diaries, Prison Break or get started on Gotham, How to get away with Murder or whatever floats your boat. No one will judge you, it’s cold and wet out there. Why not stay in your onesie and cuddle up with your S/O or pets and just watch TV. Or you can go see some movies, I don’t know what’s playing because I only go to the movies when superhero movies are out or some dystopian world novel has been turned into a movie. Read at home, at a library, or bookstore — Okay, this may be the nerd in me speaking but I love going to bookstores and not buy anything but just pick up a book and read for a bit. I’m sure that’s why there are chairs in most of them. Take advantage of that. I’ve lost track of time in a bookstore, It’s a magical place and some of them have cafe’s or a coffee shop nearby. Go to a Art Gallery, Museum, etc. — I know some of these cost money and can be quite expensive but I’m pretty sure that it would be nice to go see one on a rainy day. 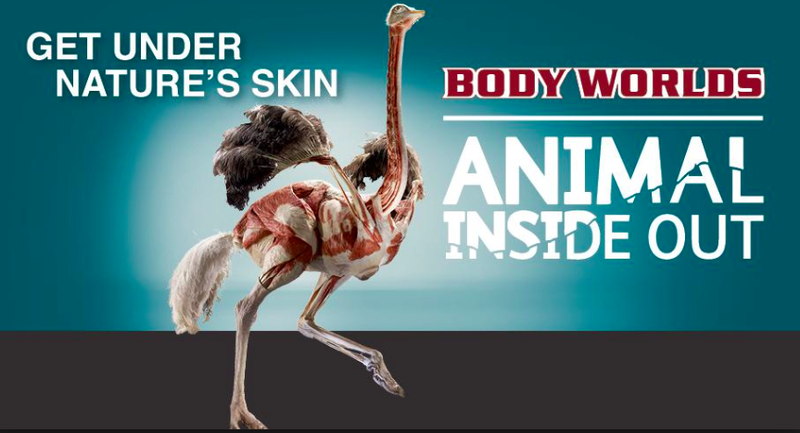 Even Science World ( I will never call it “Telus world of science” ever) has the animal body works show, I’ve heard it can be quite interesting. I’d definitely recommend any of these. Who doesn’t want to see animal insides? Okay, so that’s my short list of things you CAN do but you really don’t have to. I know it’s cold out there, its dark and you’re probably not wanting to go out. To be honest, if it was possible I’d stay in bed all day and listen to music and read. I know you’re thinking that too. Or you’re totally the person who goes out and jumps in puddles (okay, I do that sometimes too). I just thought I’d share some possibilities. It’s Vancouver. There are tons of things to do. And well, if you’re not from Vancouver, you could still do stuff like this. Take a long drive over here and enjoy our West Coast weather. Just remember to stay safe out there, stay visible and drive safely.